When Allison Anthony graduated from Pennfield High School last spring, she did so with 12 college credits earned by dual-enrolling at Kellogg Community College. The 18-year-old Business Management major took two KCC classes per semester her senior year of high school, and hopes those early credits will help her graduate from KCC that much sooner. Along with having a dozen-credit jump on her degree when starting at KCC last fall, the convenience factor was another reason Anthony chose to attend KCC after high school. It’s close to home, she says, and to friends and family. This semester, she’s is taking five classes at KCC, including courses in accounting, business law and marketing in addition to general math and English classes. Today she works as a receptionist in KCC’s Support Services office, and someday hopes to put her education and work experiences to use by starting a business of her own. This is Allison Anthony’s KCC story. What’s yours? Share it online using the hashtag #KCCstory or share it on our website at www.kellogg.edu/kccstories. The KCC Foundation’s 2017-18 scholarship applications are available now! For information about available scholarships and scholarship applications, visit www.kellogg.edu/student-scholarships. 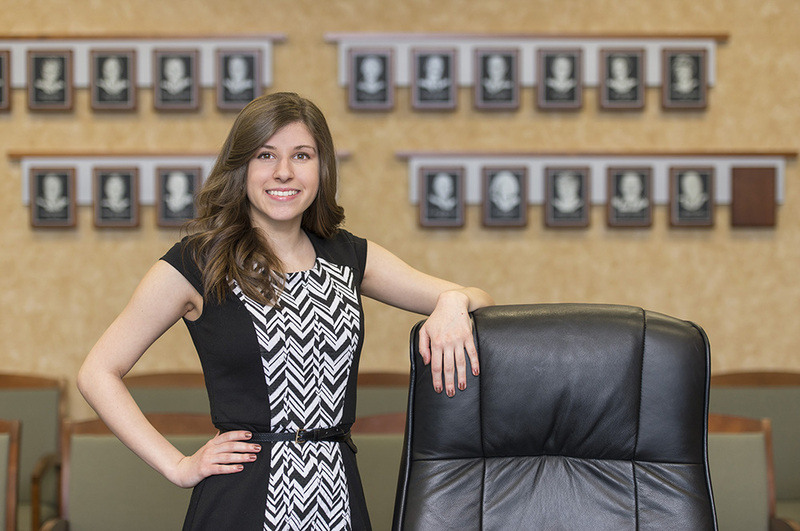 Interested in studying business management like Allison? For more information about KCC’s Business Management Program, visit www.kellogg.edu/business-management.